This weekend while with my #hardheadz, we finally experienced enough wind to enjoy the age-old activity of flying kites. My kids have never done this before and of course struggled initially with the whole "we have to have wind for these to fly" concept. I took a few shots with my Galaxy Nexus smartphone and I think these turned out quite all right. Fortunately, there were a few times the kite actually looked suspended and didn't blur when I took the picture. Here's one. . . . I personally like this image the best. 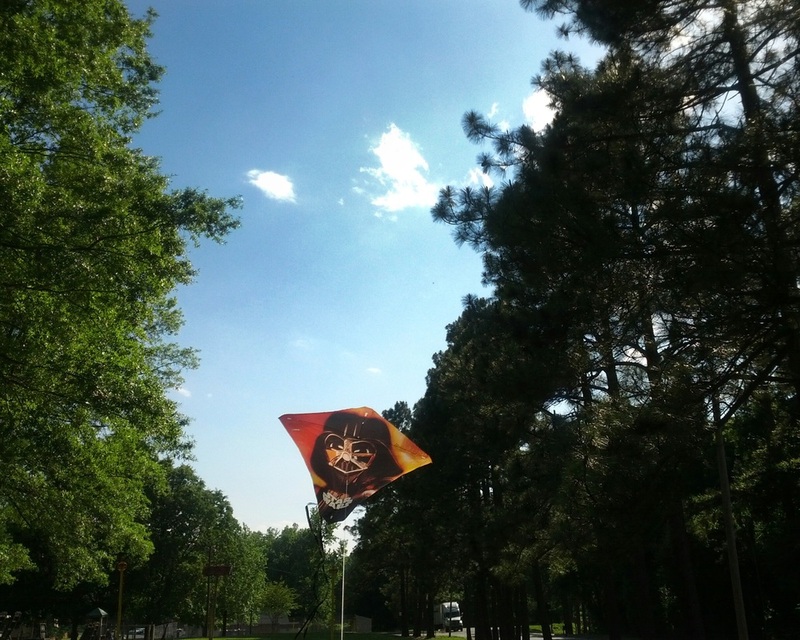 It looks like we're flying the kites in a "tunnel" of trees here at Chateau "Ghetto." When's the last time you flew a kite? 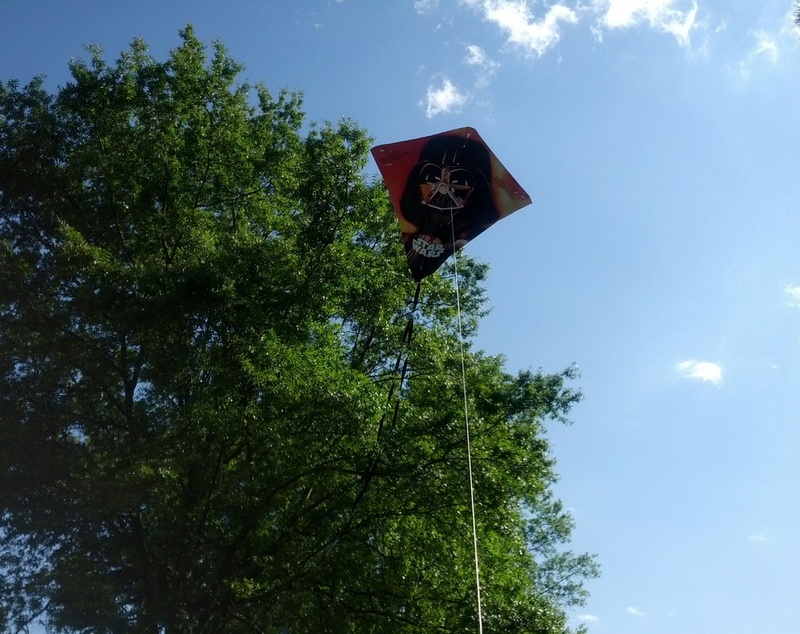 If it's been a while, i suggest getting out there and spending $5 on a lil' kite and just enjoy the peacefulness that comes with it.